Farming Today continues its week-long look at the pig-farming sector, with the second of its programmes based on a Yorkshire pig farm. 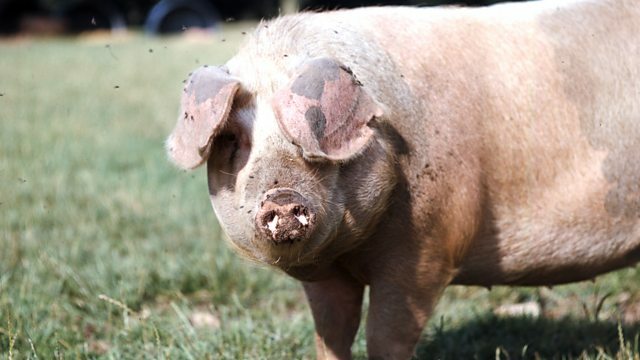 Day two of Farming Today's week on a Yorkshire pig farm, and today Anna Hill explores the welfare issues surrounding different pig rearing systems. The farm near Driffield has both indoor and outdoor pigs. Today Anna concentrates on the indoor herd. The farmer shows her the difference between pigs housed on straw and those housed on slatted flooring, and explains the financial differences between the two systems. We also hear from Compassion in World Farming, a pressure group which campaigns against intensive farming systems. The Environment Secretary Michael Gove launches a consultation today into how UK agriculture should function after Brexit. We look at the areas under consultation, and ask what changes may lie ahead. Presented by Anna Hill and produced by Emma Campbell.